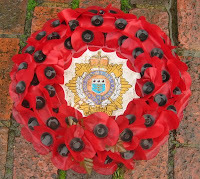 This year, Remembrance Sunday falls on 9th November 2008. Remembrance Sunday is the day traditionally put aside to remember all those who have given their lives for the peace and freedom we enjoy today. 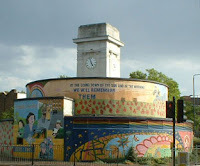 Residents are invited to pay their respects at the Stockwell War Memorial, opposite the tube station where a Remembrance service will be held at 11.00am. Local Labour councillors will be paying their respects at the service. Mother’s Day is celebrated for our family most special person our mother. Mother is a god gift for all people in the world. Every son/daughter is celebrated Mother’s Day for their mother; they express their feelings, love, and joy with their mom. Mother’s Day is celebrated in all over the world on different days; it means Mothers Day Date is not same in all over the world. In most countries, Mother's Day quotes Mother’s Day is celebrated second Sunday of month May. Mother’s Day was first celebrated in 1908 when Anna Jarvis held a memorial for her mother at St Andrew’s Methodist Church in Grafton, West Virginia. St Andrew’s Methodist Church now holds the International Mother’s Day Shrine.